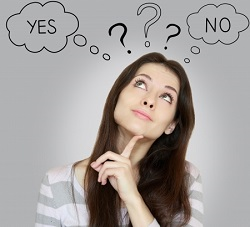 There could be some legitimate reasons for not buying a home but indecision is not one of them. Indecision is rooted in not having enough information to move forward to own a home or continue renting. If you keep renting, at the end of the year, you have had a place to live and a pile of receipts that helped the landlord pay for his house. Deciding to buy a home will give you a place to live that is yours and all the things that come with that. When you consider principal reduction, appreciation and tax savings, your monthly cost of housing could be much less than the rent you’re paying. The principal reduction included in each payment is like a forced savings account that increases as your mortgage balance decreases. Your equity in the property will also grow due to appreciation as the home goes up in value. The equity is part of your net worth and an investment in your family’s future. The income tax savings can be an additional financial consideration if the combined interest and property taxes are greater than the allowable standard deduction. Trends are showing that both tenants and homeowners are staying in their homes longer. It’s been said that whether you rent or own, you’re paying for the home. Do you really want to buy the home for your landlord? Check out your numbers on a Rent vs. Own and then, call us to help make it happen.